The day after we decided to get married, Charis, a co-worker of Anne's brought a wedding ring into work that she was holding on to for her boyfriend Seth, who just happens to be a jewelry designer. Anne began to ask some questions, and suggested that we have him design her wedding ring. We met with the two of them the following weekend, and decided to move forward with having Seth design a ring. He figured he could have it completed in about a month. 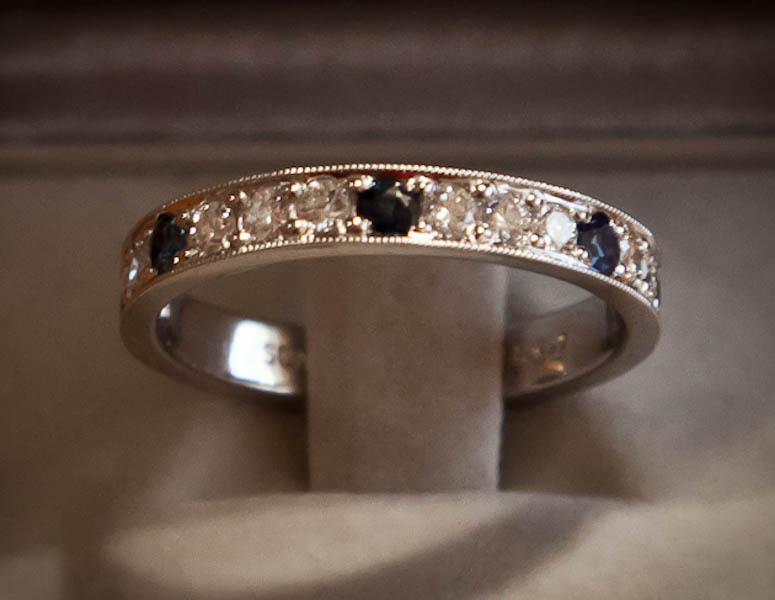 At one point, Anne left the table to freshen up a bit, and I asked Seth if he could design a second, simpler ring that I could use to propose with, since I didn't want to wait a whole month to make our engagement official. He agreed, and said it would probably be only a week or two. The following Wednesday, Seth let me know that the ring would be done the next day, and so I decided that Friday night would be the big night. I really wasn't nervous until I picked up the ring on Thursday. At that point, it was all I could think about. I had asked Anne to leave the next few weekends open so that I could plan some "mystery dates", hoping that I might have a chance to surprise her once the ring was ready. Since this was the first one, she really wasn't expecting anything. 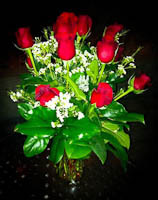 Friday morning, I left some flowers on the dining room table at my house for her to find that afternoon. 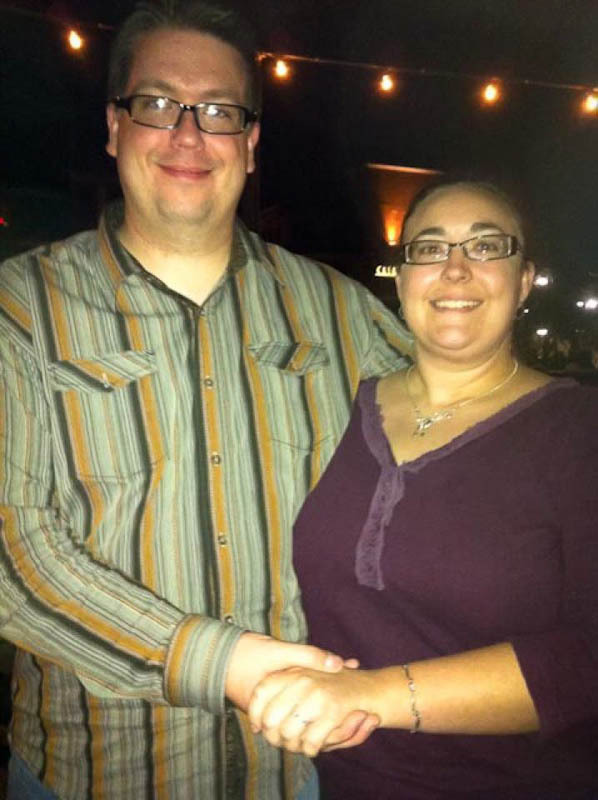 That night, I had planned to take Anne out for dinner at Olive & Ivy, a nice Italian restaurant in downtown Scottsdale, and propose on the bridge over the waterfront near the restaurant. Since I had not told Anne where we were going, she thought it would be fun to guess where we were going for dinner. Shortly after we left my house, Anne noticed that we weren't heading towards the freeway, so she said, "I bet I can guess where we're going." I told her to go ahead, thinking there was no way she could possibly guess. Her first guess was Tottie's, a very nice Asian restaurant that we frequent. Her second guess was Sauce, which is somewhere we haven't been but have talked about. And then, to my complete surprise, her third guess was... Olive & Ivy. At this point, I was starting to worry; if she had managed to figure out where we were going to eat this quickly, what hope could I possibly have to surprise her? Now that Anne knew where we were going to eat, a new problem presented itself. Since I was planning to propose on the bridge, I needed to park on the other side of the waterfront in Old Town. On a Friday night, parking is difficult to find, and Anne helpfully suggested that we could turn down a side street and end up right across the street from the restaurant (which would completely mess up my plan). I said we could probably find a spot here, and that I would keep looking. A few minutes later, she again suggested that if we would just turn and drive a few blocks, we'd be at the Neiman Marcus parking lot, and have only a short walk to the restaurant. At this point I began to pray that she would just let it go -- I didn't want to have to explain why I wasn't taking her (very good) advice. While we were walking, Anne was telling me a story, and I must have been visibly distracted, because she asked me if I had heard what she said. My response was, "Yep. Sounds good!" which completely gave away the fact that I hadn't been listening. She then said, "You didn't hear a word I just said, did you?" I apologized and said I had been thinking about other things. Fortunately, she didn't ask me what I was thinking about. As we made our way towards the bridge, Anne began her story again, thinking I would be more attentive this time. We got to the middle of the bridge, and I asked her to wait a minute while I got a rock out of my shoe. I got down on one knee, got the ring out of my pocket and hid it in my hand, took Anne's hand again (we had been holding hands the whole time) and waited for her to finish her sentence. Finally, after what seemed like ten minutes, but was probably only one or two, Anne looked down at me with a puzzled look, and asked, "What are you doing?". "I have a question to ask you," I said. She looked down at me, at her hand, at where we were standing, and exclaimed, "Oh!" I asked her to marry me, and she said yes. So on Friday, March 23, 2012 at 7:15pm, my life changed forever and I will never be the same. We continued on towards the restaurant. At this point, Anne was paying attention to every detail, since it was now apparent that this was going to be a night to remember. When I gave my name for the reservation at the restaurant, she noticed immediately that the staff was exchanging knowing looks with one another. We arrived at our table on the patio by the waterfront. I had had a dozen roses delivered to the table that afternoon, and we sat there for a few minutes admiring the flowers and the ring before ordering. As we were talking, a lady from a nearby table came up to us and told us that she had been there before we arrived and had seen the staff arranging the flowers on the table. She had thought to herself that this must be a pretty lucky girl to have such a romantic guy deliver flowers to her. Anne said something about me being the most romantic man she's ever met, and I turned about six shades of red. When we got back to my house, I had Anne sit on the living room couch and put on a blindfold. I turned up some Frank Sinatra and Tony Bennett loud enough that she couldn't hear what I was doing, and went to work. 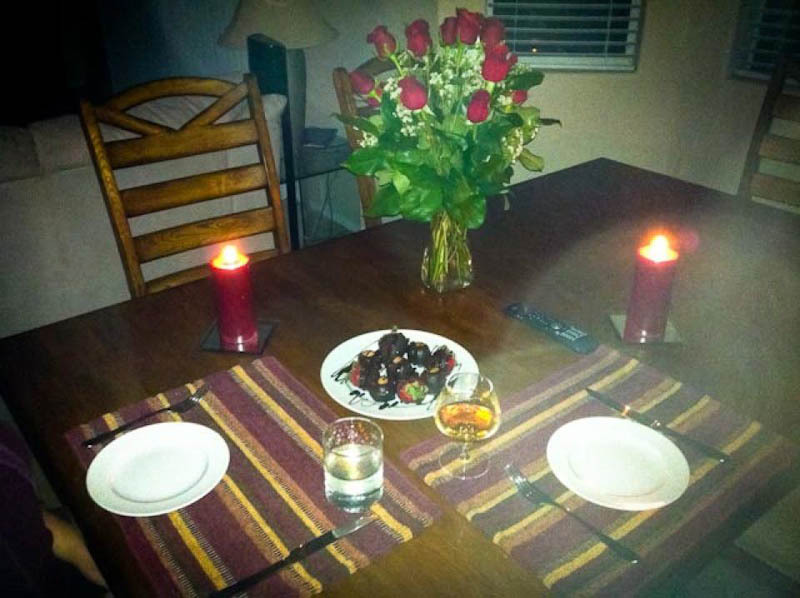 I got out some candles and lit them on the dining room table, then prepared a plate with some chocolate-covered strawberies and peanut butter cups for us to eat. I poured a drink for each of us, and then scattered rose petals in a path from the couch to the dining room table. I turned out the lights, took the blindfold off Anne, and we walked over to the table and had our dessert by candlelight, and then played some card games to finish out the night. All in all, a perfect evening!